This privacy notice provides you with details of how we collect and process your personal data through your use of our site www.ysbdtheatreacademy.com, including any information you may provide through our site when you purchase a product or service, sign up to our newsletter or take part in a prize draw or competition. YSBD Workshops Ltd are the data controller and we are responsible for your personal data (referred to as “we”, “us” or “our” in this privacy notice). Name of Data Protection Officer: Hannah Goodwin (Company Director). Names of parents/guardians/students/clients and emergency contact names. Age of students, date of birth, gender. 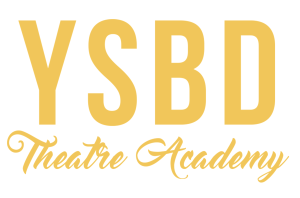 Relationship of the adult to the student attending YSBD Workshops Ltd.
Staff details including name and address, DBS certificate number. License information – Child’s name, school, address, previous performances. Parent/guardian/client contact information including billing address, email address, home telephone number, mobile telephone number. Student emergency contact numbers and billing address. Staff contact information including billing address, email address, mobile telephone numbers. Staff bank account details for payments. In addition to the above data we also collect data of consent from the client or legal parent/guardian for client/children to be photographed, videoed and appear on YSBD social media sites for publicity and promotional purposes. This includes: client/student’s name, parent/guardian name and signature. YSBD Workshops Ltd Facebook pages; YSBD Theatre Academy (facebook.com/ysbdworkshops) & YSBD Theatre Academy rehearsal group (closed), YSBD TV and Film (www.facebook.com/YSBDTVandFILM), ChaSamba with Hannah (www.facebook.com/chasambawithhannah). YSBD Workshops Ltd promotional and publicity articles: printed and online publicity articles, press releases and funding applications. For example: leaflets, newspapers, magazine articles, online/internet features and articles, show programmes. For more information about the use of media, please see our Image Use Policy. You have the right to withdraw your media consent at any time by emailing us at info@ysbd.co.uk. Please read our retention policy and your legal rights set out in clause 8 & 9 below. We need to collect the following sensitive data about you in order to deliver the services and to be able to offer appropriate teaching and techniques in our classes to adapt to personal needs due to medical/health conditions. completing a written registration form. Enquiries via Facebook, Twitter, YSBD website. Mayflower Disclosure Ltd – staff DBS disclosure certificate information. The Update Service – staff DBS disclosure certificate information. Periodically sending promotional emails about new products, special offers or other information which we think you may find interesting using the email address which you have provided and consented too. To contact you for market research purposes, by email or phone (where consent is given) and to customise the website according to your interests. Support and manage staff: contracts, payments. Contacting parents regarding absences, sickness, information about your child. Medical information to provide the correct services. Provide outside agencies (such as Local Authorities, Production Companies) with information for students to obtain the required performance licences. We may process your personal data for more than one lawful ground, depending on the specific purpose for which we are using your data. Please email us at info@ysbd.co.uk if you need details about the specific legal ground we are relying on to process your personal data where more than one ground has been set out in the table below. You can ask us to stop sending you marketing messages at any time by emailing us at info@ysbd.co.uk. Where you opt out of receiving our marketing communications, this will not apply to personal data provided to us as a result of a product/service purchase, registration, product/service experience or other transactions. Service providers who provide IT and system administration services (Outlook.com, The Bubble Design Company). Professional advisers including accountants who provide accounting services. We share your personal data (photos/videos) within our group of companies (Facebook, Twitter, Instagram and Youtube channel) which involves transferring your data outside the European Economic Area (EEA). If you consent to photos/videos being taken via our Media permission form they will be transferred outside of the EEA but the companies are part of the Privacy Shield which means that adequate protection should be in place. Please email us at info@ysbd.co.uk if you want further information on the specific mechanism used by us when transferring your personal data out of the EEA. If you believe that any information we are holding on you is incorrect or incomplete, please email us as soon as possible at info@ysbd.co.uk. We will promptly correct any information found to be incorrect.